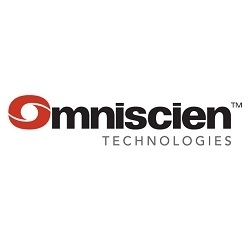 San Francisco, CA, April 27, 2017 --(PR.com)-- Omniscien Technologies (formerly Asia Online) today announced a partnership with LexisNexis to deploy Language Studio™ Neural Machine Translation (NMT) to further support the LexisNexis intellectual property workflow. This agreement offers the marketplace a superior customized solution based on the combination of expertise from leaders in machine translation and intellectual property solutions, Omniscien Technologies and LexisNexis IP. The release of the new Language Studio™ NMT capabilities, complementing the existing Statistical Machine Translation (SMT) capabilities in the LexisNexis IP Solutions current workflow, provides for more accurate machine translations of IP documents. LexisNexis is once again asserting its market leadership position by offering the most innovative technologies and solutions available today to provide customers with industry leading Intellectual Property tools. “We have always pioneered advanced solutions to enhance our offerings, and our deployment of the new Language Studio™ NMT capabilities extends our existing partnership with Omniscien Technologies,” says Eric van Stegeren, Senior Director Technical Solutions and Managing Director of LexisNexis IP Solutions. “It provides us with the ability once again to establish our leadership position in the industry and provide a unique, high-quality offering to our clients,” van Stegeren continued. “Language Studio™ from Omniscien Technologies has served us well over the years, and the addition of NMT allows us the flexibility to select the best technology for the job dynamically, be it SMT, NMT or a combination of both. This represents a unique opportunity to achieve far better quality translations and solutions as part of our products,” says Laura Rossi, Manager Language Technology Solutions at LexisNexis IP Solutions. “We are truly honored and thrilled by the opportunity to be able to continue and extend our long-standing relationship with LexisNexis IP Solutions. Taking such a sophisticated new technology to market in an environment with such complexity as Intellectual Property data and the associated volumes of more than 100 billion words this year alone, requires a highly skilled team on both sides of the partnership as well as the effective collaboration which we have found in LexisNexis IP Solutions,” says Andrew Rufener, CEO of Omniscien Technologies. Language Studio™ with Neural Machine Translation was announced for general availability on April 21 and is available to the global customer base of Omniscien Technologies in Language Studio™ Cloud as well as Language Studio™ Enterprise as an on-premise solution for customers requiring secure or high-volume installations.